The Dallas Black Chamber of Commerce (www.dallasblackchamber.org) had our 2nd annual State Of Black Business (SOBB) Forum last week. A lot of people are confused, or apathetic to the mission of the organization I love, both inside and out. There are a lot of misperceptions and ill-truths that have evolved during the 89 year history of this organization.I would like to show the Chambers “true mission” in this blog; it’s about education, support, and advocacy. Most people ask me, “What does the Dallas Black Chamber offer to me?” or “Why do y’all exist?” or “Why does it have to be called the ‘Black’ Chamber?” or event still, “Why do you isolate yourselves and only accept black members?”. This can easily frustrate any human being that exerts their personal and professional time to do volunteer work for an advocacy group, but I gladly entertain the questions. Why? Because, where there are questions, there’s curiosity, and where there’s curiosity, there’s an opportunity for me to share the lessons I’ve learned from my father and his colleagues, and contribute to the improvement of the American Economy (no, not Black economy solely, but American economy). Some clarification, the Dallas Black Chamber is not just an organization where we can provide free marketing to your organization. Our mission is to advocate and support entrepreneurs, business owners, and corporations that want to support the African-American community, therefore, you don’t have to be black in order to be a part of this organization, you just need to be a cheerleader or stakeholder for improving the situation (with blacks contributing $1 Trillion to the US Economy, there needs to be an organization(s) that can assist with the education and distribution of black wealth). I can go on and on about this… This is not the purpose of this post (for more info, go to our website or reach out to me). I’m posting this to show how the Black Chamber helps a community; by being an objective organization that helps all businesses tread the waters of capitalism. Events like SOBB to provide entrepreneurs/professionals the opportunity to network and build relationships with larger businesses. To defend the smaller businesses, encouraging big entities to use smaller businesses to stimulate our micro-economies. After talking to Mr. Williams, my spirit was renewed about the aims of the organization; as Chair, it’s easy to get bogged down in the politics of the organization, or the status you receive once you participate in outside programs, representing the organization. Hearing him thank my father (who was ED of the Chamber in the 1980’s) for giving him sound advice when he was an employee at Church’s Chicken illuminated the importance in having a third-party advocate strategize to assist all people to build wealth; someone whose intent is to help all who ask for help. This was a wake-up call; we, as an organization, need to do a better job at marketing to the masses what we do at the chamber. I know A NUMBER of businesses who benefited from advice from our organization or ones like it (other ethnic/cultural/geographic chambers), so those business owners need to speak up as well. Without an advocate organization, we will not be able to defend the small business, killing what we know as the American Dream. I want to continue on my conversation on how my family impacted my life. Please understand, my family is not exclusive to people I am related to by blood. They are childhood friends, teachers, and mentors who accept me for who I am and teach me a great deal about life (directly and indirectly). In the next few blogs I will talk about people my family exposed me to who influenced me. I will not specify names because there are SO many people who I admire, and if I forget some names I will regret it. I do want to speak generally and provide thematic messages on the importance of surrounding yourself with high quality people. One thing I forgot to mention when discussing my immediate family was their talent for exposing me to great people. My father, mother, brother, and sister had a network of people around me to teach me mostly good, exposed me occasionally to bad, but definitely entertained me to the fullest. One of my father’s favorite pastime was playing dominoes. I remember him playing at least twice a week for hours each meeting with the same 3 men. These men were diplomats, nor politicians, they were people he trust. Initially, it didn’t make sense for my dad to “associate” with these blue collar workers. 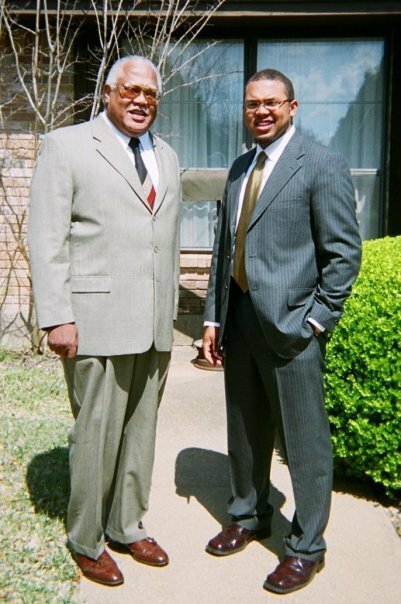 My father was a banker, entrepreneur, and leader of the largest black chamber in the country. Why would he spend most of his recreational time with people “below him”. Watching them play dominoes and occasionally running an errand for them, I was able to socialize and learn from everyone at the table. I started getting tips on how I maintain my car, and the best method in keeping a great lawn. Most importantly, witnessed how 4 different types of black men can interact and work as a team. Even though they had different education levels, different professions, even different socioeconomic statuses, they had one thing in common: They are black men that was surviving a world I had not experienced yet. As I grow older, I began to realize a very important lesson he was teaching me: give all people the same respect. Every person can teach you a lesson, the question is will you learn and apply it. It takes a group of diverse people to make a society thrive, and it takes a functioning community to prosper. In order to fulfill many of my goals, it requires me to talk, relate, and understand different types of people. It would be total suicide if I believed I was better than someone because of what little resources I have. People are people are people. No person is better or worse than the other: we are just different. Let’s appreciate our diversity and learn from one another so we can be the best we can be.